You much prefer a life on the water! Fresh ocean air, sail boats, wide open spaces and a seagull or two. 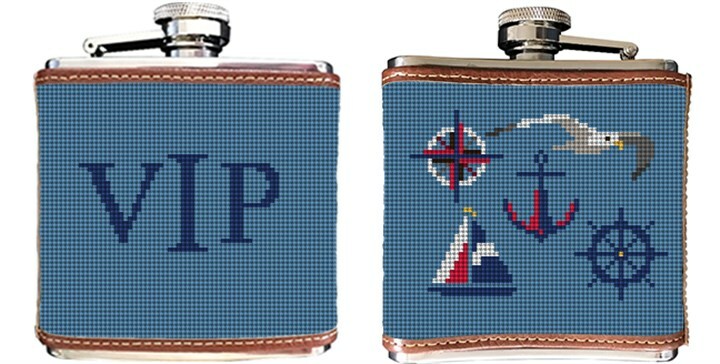 Set sail on your next nautical adventure, and don't forget to bring our Nautical needlepoint flask. This flask makes a great gift idea, for the hard to buy for person on your gift list.